On the eve of Russia's final against Italy, UEFA.com sat down with their seven-goal inspiration Eder Lima to discuss his experience of the tournament and the Azzurri. Russia's progress to a fifth UEFA Futsal EURO final, where they play Italy on Saturday, has been spearheaded by Eder Lima. The 29-year-old has scored a tournament-leading seven goals in Antwerp, including a sensational acrobatic volley against Group B rivals Portugal – an effort that was seen "by the whole world" – and a hat-trick in the last-eight defeat of Romania. UEFA.com caught up with the forward at the team hotel to discuss his goalscoring exploits, how he is enjoying his first experience of this competition and what he makes of showpiece opponents Italy. 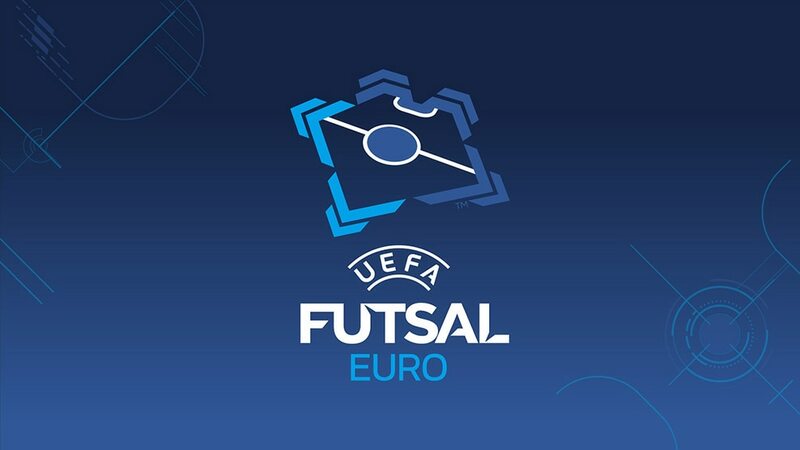 UEFA.com: How are you finding your first Futsal EURO? Eder Lima: It is a great tournament, the same as the [FIFA] Futsal World Cup. The only difference is that we don't have Brazil, Paraguay and Argentina here, but the level of futsal is the same. We have beaten Spain and while that was very nice, we haven't won the championship yet. We have one more match and we need to be fully focused. UEFA.com: Was the 4-3 semi-final win against Spain one of the best moments of your career? Eder Lima: Yes, no doubt. Spain are very strong. I have played futsal for many years but have never seen a team who play as well as they do. Everything works well in their team. Spain think a lot and deliver smart performances. They have the strongest national team in the world but we still managed to win. We had the right mentalilty, each of us never stopped fighting. We gave 200% effort in defence, not 100. Meanwhile, we needed to take our chances – and we did so. UEFA.com: What are your views on Italy? Eder Lima: They have a good team as well. They lost their first match here [3-2 to Slovenia], but since then they have been superb. They fight like dogs, but if we manage to play as we did in the semi-finals they won't have many chances. I have spoken with some of the Italian Brazilians. We congratulated each other but didn't discuss the final or any other matches. UEFA.com: You must be pleased with your haul of seven goals in the tournament? Eder Lima: To be honest, it's not that important if I score or not – the main thing is to win the trophy. I was the top goalscorer at the 2012 Futsal World Cup with nine goals, but so what? It's meaningless. Anyway, we went home after the quarter-finals. I have been the best goalscorer in the Russian league, but we [TTG-Ugra Yugorsk] haven't won the title, only the Russian cup. UEFA.com: But still, which of your goals here is your favourite? Eder Lima: The one I scored against Portugal. This goal was seen by the whole world, it was shown on every TV screen. I have never seen anything like this goal. Nobody has scored in such a way, even the legendary Brazilian Falcão. My friends tried to find something on the internet, but even then there is nothing like the goal I scored. However, I don't think I'm a celebrity now. I'm just a normal guy. UEFA.com: You have lived in Russia for the last eight years. Can you tell us about this experience? Eder Lima: I live in Moscow and feel great there. I've adapted very well to the city. I know where the good restaurants are, I know where the best places to walk with my family are. When we go to play matches in Siberia I feel good as well. There is amazing scenery. I like to play in Russia. Brazil and Spain have very good leagues as well, but the Russian league is the best in the world. Vladislav Shayakhmetov talks UEFA.com through the Russia squad that will play Italy in the final, a 14 that include a workhorse, "one of the best pivots in the world" and a big comedian. From Robocop and Grumpy to the joker and the sweet-eater, Italy captain Gabriel Lima (who does NOT have big feet) introduces the Azzurri squad that has won the 2014 final. Italy's Massimo De Luca had not played in Antwerp until his inspirational second-half display against Portugal – now he wants to prove himself again and "settle a score" with Russia.